You might think that these goldfish have it pretty good, each luxuriating in its own personal tank. But they're actually hard at work making music. 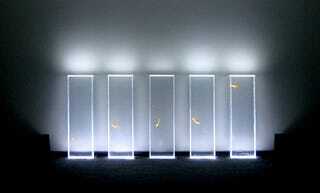 Quintetto, an installation by creative studio Quiet Ensemble, uses video cameras to turn the movements of the five fish into a fabric of ambient music.